2018 has been a shockingly sparse year for DC superhero movie output; Warner Bros. has yet to unleash even a single DCEU entry since 2017's Justice League, and the next film on the companies’ schedules, Aquaman, won’t arrive in theaters until December. Which raises the question: What have all these superpowered slackers been up to for the last year? Not helping out Aquaman, certainly; that’s per director James Wan, who made it clear recently that his upcoming film will be a standalone affair. “I wanted to keep the story to the world of Aquaman and not have to worry about what other characters are doing in their films and how that would affect us,” Wan told Entertainment Weekly, hinting at one of the ongoing frustrations of this whole “shared cinematic universe” thing. 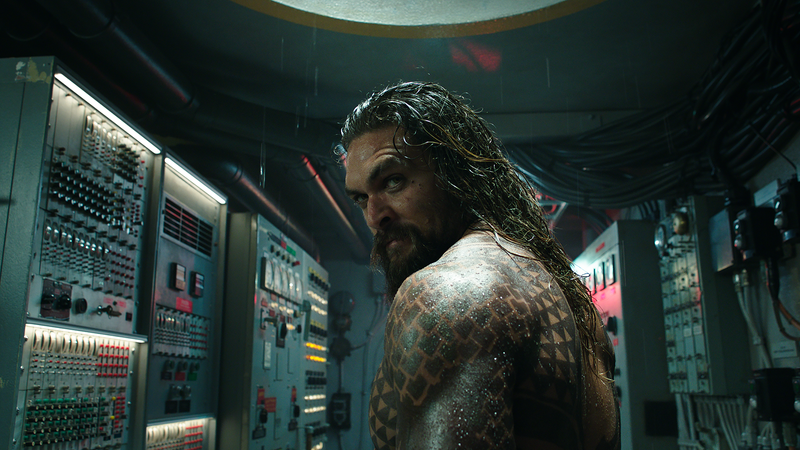 Instead, the film will focus solely on Jason Momoa’s underwater action, as he battles folks like Orm and Black Manta, and attempts to prove that there’s more to his character than a wetter, less funny Thor. Still, though: What the hell has the rest of the League been doing with their year (and possibly more) off? Since we don’t actually know anything—the company doesn’t have another big crossover movie on the books yet, and seems to be waiting to see the reception to Aquaman before it makes any more big moves—the responsible thing would probably be to withhold judgment, at least until Warner Bros. clarifies what its next move might be. Last seen: Dickishly refusing to help his mom carry a box at the end of Justice League, even though he’s Superman. Probably currently: Using his eye beams to burn every follicle off his upper lip, so that Henry Cavill never has to hear another joke about his CGI mustache. Last seen: Gamely pretending that he’s willing to make another five or however many of these damn things. Probably currently: Sending out resumes, worrying about the DCEU’s sudden influx of Jokers, possibly regenerating into a less burnt-out actor. Last seen: In the trailer for Wonder Woman 1984, the only other DC movie (besides Shazam!) that’s currently on the schedule. Probably currently: Working, unlike some superheroes she could name. Last seen: Dashing down the dangerously thin line between odious comic relief and being the most legitimately delightful thing in Justice League. Probably currently: Bouncing back and forth through time, trying to stop the bad future where Flashpoint actually ever makes it on to Warner Bros. schedule. Upping his cosplay game. Last seen: Um…Brooding, we think? Sorry, it’s been a while. Probably currently: Wondering why the cartoon version of him from Teen Titans Go To The Movies seems to be having so much more fun.